When will be Murderers and Their Mothers next episode air date? Is Murderers and Their Mothers renewed or cancelled? Where to countdown Murderers and Their Mothers air dates? Is Murderers and Their Mothers worth watching? Everyone is someone's child, even a serial killer. This series looks at the complex stories of serial killers' family relationships and on a case by case basis looks into the vital role played by their mothers. Do they in fact turn them into psychopathic murderers? In this unnerving and shocking series each episode explores a different killer's disturbing childhood, their unnatural maternal relationship and the devastating impact of 'Mother'.Presented by Donal MacIntyre, crime journalist and Professor of Criminology in conversation with Dr. Elizabeth Yardley, Director of the Centre for Applied Criminology at Birmingham City University, MacIntyre and Yardley will piece together the biographical, psychological and criminal evidence to build a careful but frightening picture of the killers. 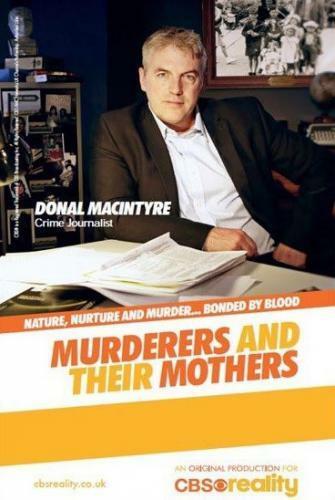 'Murderers and their Mothers' will reveal startling new evidence and opinion about the relationships of each killer and their mother from around the world. This is a rarefied field of criminology and psychology and each unique programme will bring new theories and insights to the table. Murderers and Their Mothers next episode air date provides TVMaze for you. EpisoDate.com is your TV show guide to Countdown Murderers and Their Mothers Episode Air Dates and to stay in touch with Murderers and Their Mothers next episode Air Date and your others favorite TV Shows. Add the shows you like to a "Watchlist" and let the site take it from there.